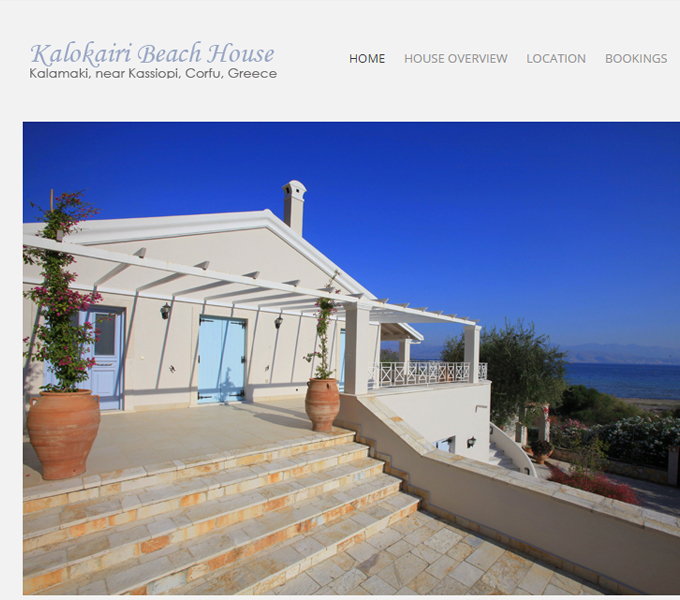 A contemporary villa with a very individual imprint, Kalokairi Beach House has proved immensely popular with families and groups of friends and has direct access to sandy Kalamaki beach from its garden. Its chic simplicity and cool spaciousness will also appeal to anyone seeking a relaxed holiday. Built on two levels, the main floor has a wide, partly-covered terrace that wraps around two sides of the house and enjoys views out to sea through the olive trees of the property.